Some say the De Tomaso Pantera found its way into Ford dealerships in 1970 because Lee Iacocca wanted a sports car that his dealers could offer to match the Corvette. Certainly, Ford hadn’t had a sports car to attract customers since the earliest Thunderbirds. That would be the business justification for the involvement with De Tomaso/Ghia and the development of the Pantera. Others say the De Tomaso project took shape out of Henry Ford II’s ego and pride. When Enzo Ferrari imperiously turned down Ford’s buyout offer, “The Deuce” had to prove he could beat the Modena magnate at his own game, so he developed the GT40s to beat him at Le Mans and hooked up with De Tomaso Automobili to beat him on the showroom floor. Regardless of which interpretation of history you prefer, the fact is that for a brief period from 1971 to 1974, the exotically styled but reasonably affordable Pantera, with a Ford Cleveland V8 stuffed amidships, could be purchased from your local Lincoln-Mercury dealer. And that means that today you can buy a classic Italian supercar at less than muscle car prices, and get most of the mechanical and engine parts for it through Ford restoration specialists. As a longtime owner of a 1972 Pre L Pantera that I just got back from a 4 year restoration/modification, I can't tell you how excited I am to start driving it again on a regular basis. It hasn't always been that way. 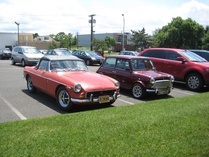 I was never driving it five years ago, just too much of a pain in the rear. Finicky carburetor always made starting it a challenge. Its propensity to want to overheat which happens in any temperature above about 70F or in any kind of traffic, just made me avoid driving it. And especially after I got my 600hp Jaguar XKR that was quicker, more luxurious, reliable, and not affected by external conditions, I just couldn't justify putting myself through the effort needed. But (a big but), it was so beautiful, I just couldn't bear to sell it. So, what started as a simple carb to fuel injection swap turned into a new 550hp engine, fuel injection, all new leather interior with C4 seats, new cooling upgrades, new paint, everything designed to make driving it more user friendly. There are still a couple of kinks we're working on but I've already driven more in a couple of months than I did in the previous 5 years prior to the mods. It is still one of the most beautiful, aggressive looking automotive designs ever and still looks up to date next to its contemporary counterparts. (I would argue it looks better than any offering from Lamborghini or Porsche). Does it have quirks? Absolutely! Is it shockingly fast and ferociously loud? Unequivocally yes! Are you so close to the ground that 30mph feels like a 100mph? You bet! And as for attention, omg, people do gymnastics with their necks to watch it drive by. Fabulous!!! 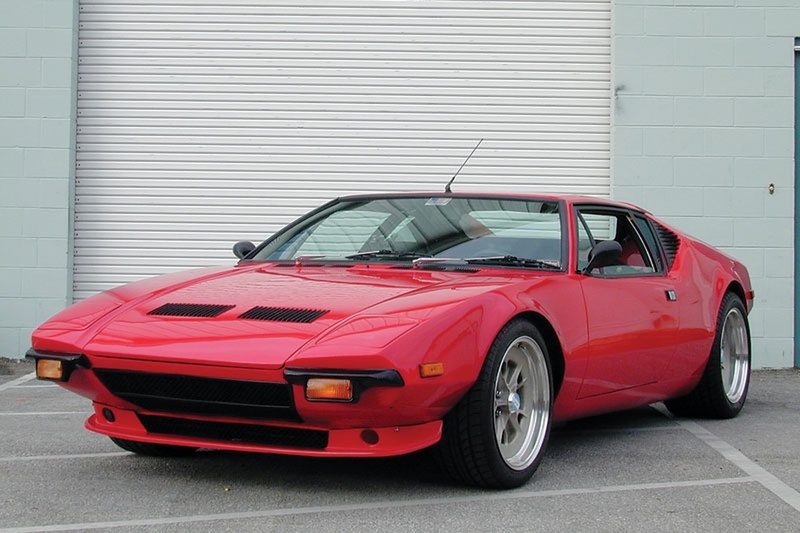 Next Sunday at Pierce College in Woodland Hills is De Tomaso Pantera Marque Day at Supercar Sunday. Since SoCal is home to more Panteras than anywhere else on earth (I believe). I'll be bringing my '72 Pre L as will my next door neighbor who will also. There should be a great turnout of these fantastic cars. If you're a fan come out and join us. There are always hundreds of great cars at Supercar Sunday.